Spring Valley, CA -- The 2013 Grammy Award Nominations were announced on Wednesday, December 5th, 2012 and proves the fact that the banjo has gone mainstream. Deering Artists were nominated in 13 different categories - including such major categories as Album of the Year and Best Rock Song. Deering Banjo Artists nominated were Mumford and Sons, Taylor Swift, The Avett Brothers, Eric Church, Dierks Bentley, The Carolina Chocolate Drops, Noam Pikelny, The Steep Canyon Rangers, and Stephen Wade. IBMA Entertainers of the Year The Steep Canyon Rangers' new album, Nobody Knows You is quite a buzz. It's climbing the charts and is getting great reviews. The band has now released a video for the cut "Long Shot" off the album. The album was released last month and is their fifth album. 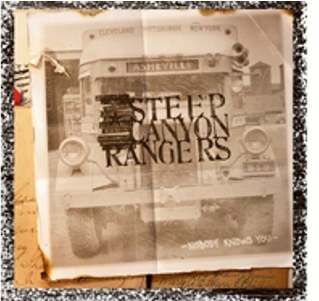 Steep Canyon Rangers are taking part in a brand new bluegrass festival at sea. 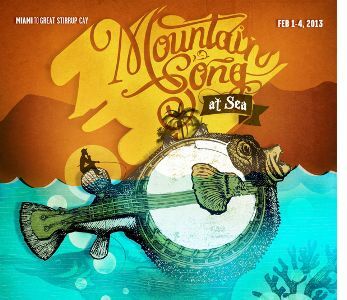 Mountain Song at Sea sets sail February 1-4, 2013 from Miami to Great Stirrup Cay, Bahamas. The Rangers will be welcoming Punch Brothers to the cruise festival. Other artists will include David Grisman Sextet, Del McCoury Band, Tim O'Brien & Bryan Sutton, Steep Canyon Rangers, The Kruger Brothers, Peter Rowan, Larry Keel & Natural Bridge, Della Mae, Town Mountain, and Shannon Whitworth. 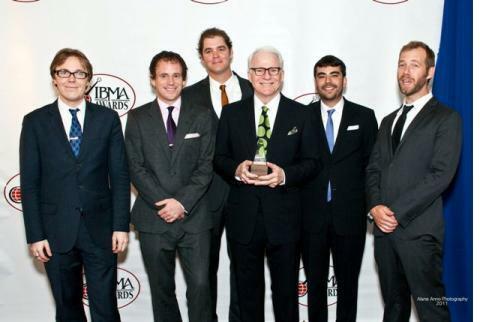 Kansas City, MO -- IBMA Entertainers of the Year Steve Martin and the Steep Canyon Rangers will perform for the second annual UMB Big Bash concert in Kansas City on June 21, 2012, sponsored by UMB Bank. Tickets go on sale March 16, 2012. The Midland Theater by AMC is the perfect venue to host the bluegrass music band as they entertain concert-goers with songs from their Grammy®-nominated and critically-acclaimed album, Rare Bird Alert. Event proceeds will benefit Women's Employment Network and Children's Center for the Visually Impaired.